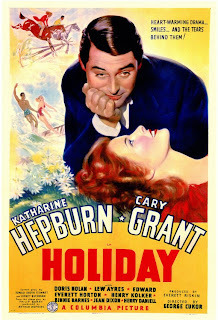 When the Normal Theater asked Bloomington-Normal folks what holiday movies they might like to see, I piped up immediately with Holiday, the 1938 film based on a Philip Barry play, starring Cary Grant and Katharine Hepburn. I was definitely filled with holiday spirit when I saw that the Normal Theater had heard me and actually scheduled my beloved Holiday for two showings. It will be screened tonight at 7 pm and also Saturday the 16th at 1 pm. 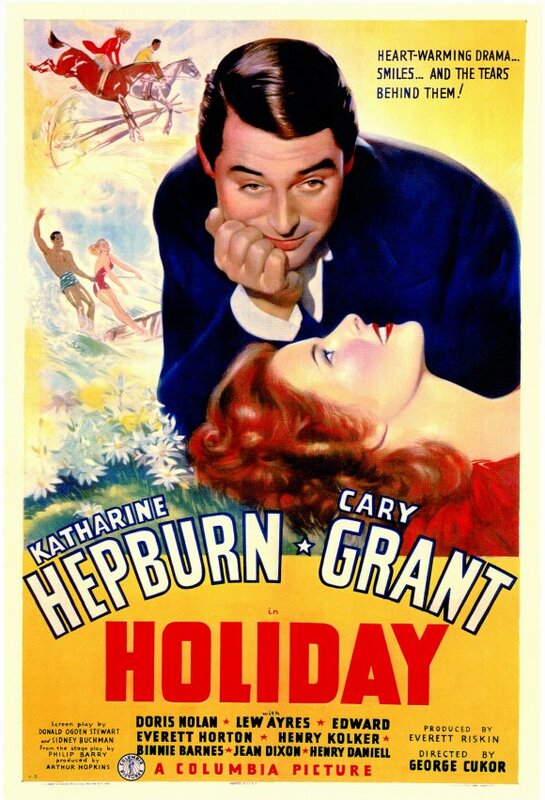 You can do one or both, but you can't go wrong as long as you get to see Holiday on the big screen. I should also note that the title Holiday does not refer to Christmas or New Year's, but to Johnny's plan to take a long holiday, a vacation, now that he's made the money he wants. And I'll be right there at the Normal Theater, siding with Linda, rooting for Johnny, and sharing all the hijinks and high spirits.